My rollers needed some work. They were starting to expand at the edges and starting to crack in the middle and my prints weren't turning out so great. I had a lot of paper waste, bad prints, and it was taking longer than usual to clean my bad rollers. It was time to take them in. 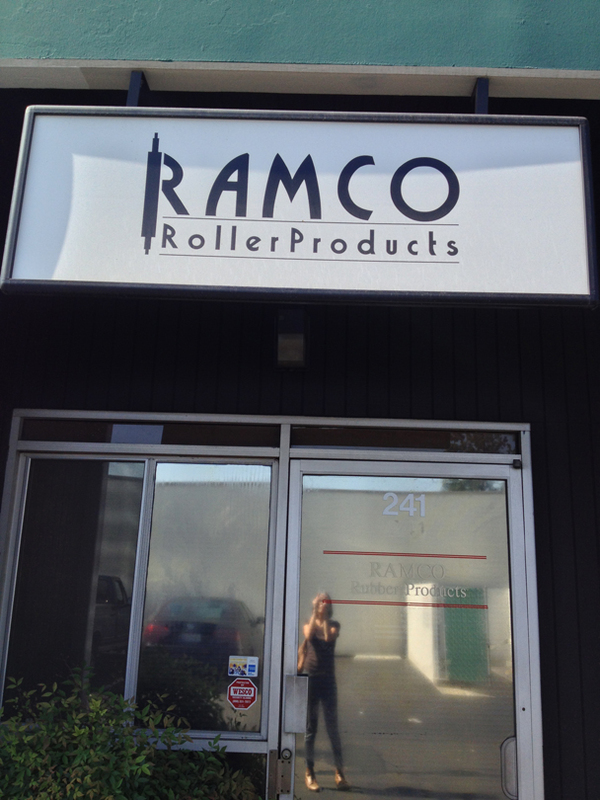 Time and time again Ramco Roller, a roller restoration shop, kept coming up in conversations with other letterpressers. I saw their booth at the Printer's Fair and saw the kind of restoration that they do. They can make rollers that look like they've been melted in a fire look brand new! It's amazing. I highly recommend their services. It takes about 7-10 business days, a little long to go without printing anything, but the results are worth it. Rollers aren't the cute and artistic side of letterpress, but it is essential to being a pressman. You have to make sure your equipment is in good shape to create that perfect print. 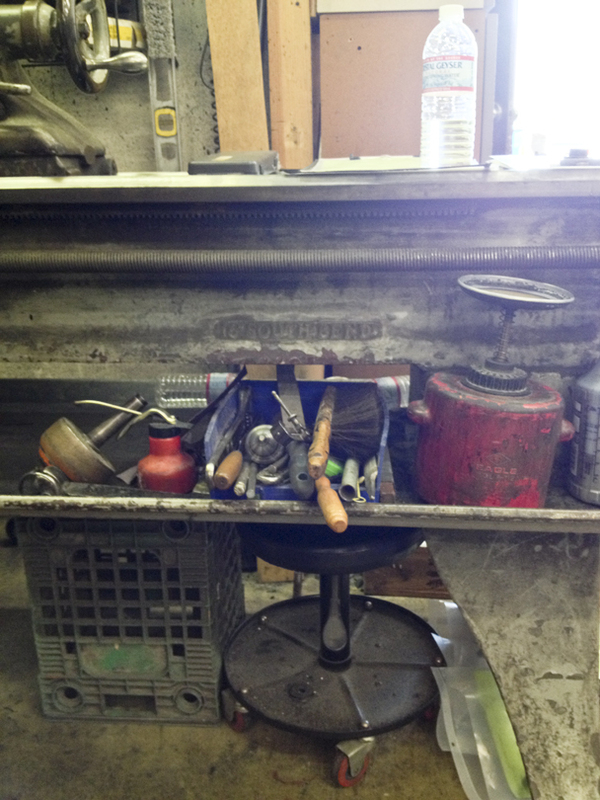 Eager to start printing again, I drove to San Dimas, met with Adrian and he took a moment to talk to me about the roller restoration process and showed me around his shop. He's been in the business for 28 years . From the area, he graduated from Don Bosco tech and can remember a time when parts of the San Gabriel Valley were covered with orange groves and walnut tree groves. Another passion aside from rollers is biking. It's his preferred mode of getting around. He's seen many parts of the country on a bike. Ask him about his latest 100 mile ride! The machine that grinds down the rubber to the precise 1000th of an inch. How specs of rollers specs are kept- the old fashioned way with files of paper. Adrian and my new rollers.